Brasília (AFP) – Over decades, Brazil revolutionized its agriculture by adapting production of soybean, milk, meat and corn to tropical conditions. Now it aims to do the same with wheat. 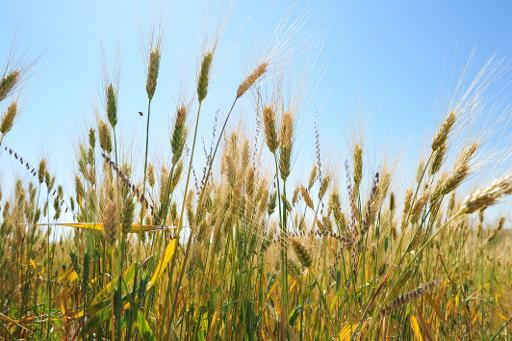 “Already we are growing wheat in tropical areas around Brasilia, with the same quality as Argentine, Uruguayan or European wheat,” said Mauricio Lopes, president of the Brazilian Agricultural Research Corporation (Embrapa). “But this requires a lot of irrigation and in central Brazil the cost is very high,” he added. “So we are gradually developing a wheat capable of growing in tropical areas without irrigation. “It is the last frontier we have to cross. If we succeed we will become self-sufficient in wheat,” Lopes told international reporters. Currently, the country produces 50 percent of the wheat that the 200-million-strong population consumes in bread and pasta. A shortfall in international inventories due to droughts in producing countries triggered price hikes and put pressure on Brazil. “We have trade agreements with our partners in Mercosur, but even they face dwindling stocks and this creates limitations for us,” said Lopes, referring to the South American trading bloc. “It has already done some extraordinary things. I hope this will happen so that Brazil becomes a major wheat producer,” she said. Currently, Brazil consumes 12 million tons of wheat a year, but produces only seven million, with the balance imported from Russia and Argentina. But faced with harvesting difficulties, Argentine momentarily stopped exports to Brazil in the middle of the year. So CNA is working with the government on a new plan to boost domestic production. “We are working with the government on a new wheat policy. If we can’t produce with guaranteed prices, in addition to harvest insurance, farmers will not plant,” Abreu said. During the 1970s and 1980s, Brazil was a major food importer. A big chunk of its huge territory is in the tropical zone, with acid soils tha are poor in nutrients. Faced with a shortages, the country was forced to create its own model, using crushed calcareous rocks to reduce soil acidity and phosphate deposits to boost nutrients. Over 40 years, poor soils have been made fertile and most of the country’s plants now grow in tropical areas, including soybean, of which Brazil is now the second biggest producer and could soon displace the United States as number one. Brazil also imported cattle species from India which were bred to adapt to local conditions, using fodder from Africa, which was also made suitable for the Brazilian climate. Today, with 200 million head of cattle, Brazil is the world’s top beef meat exporter. According to Embrapa data, the country became the world’s fourth biggest milk producer last year.